is a two-week performance-based camp that incorporates jazz, blues, gospel, R&B and hip-hop. We use jazz as a foundation to help students sharpen their performance, recording and producing skills. 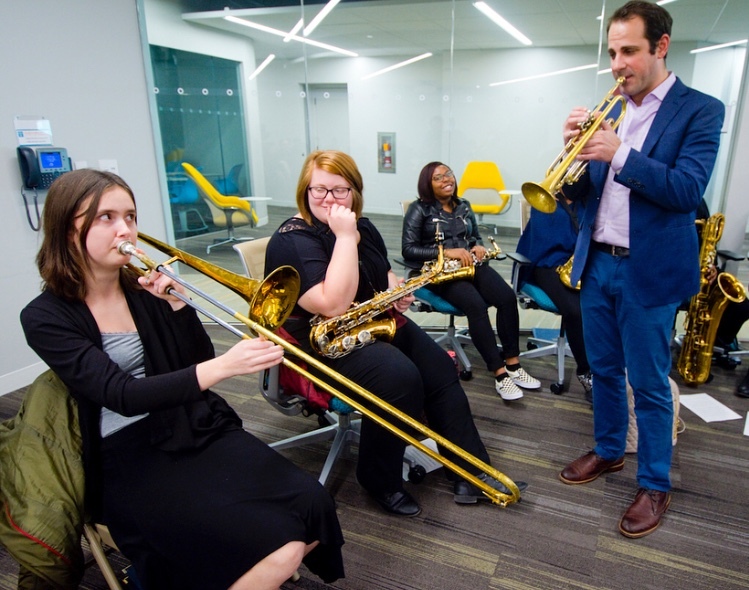 The camp also provides students with the opportunity to work with 2019 JazzFest artists and ends with a performance on the outdoor stage at JazzFest. LOCATION: The Gill and Tommy LiPuma Center for Creative Arts. 2809 Woodland Ave., Cleveland, Ohio 44115. Park in Lot 5 at Woodland Ave.